This is one of the most awarded olive oil both nationally and internationally. With a very careful preparation is very expressive extra virgin and strengthened in all its properties. 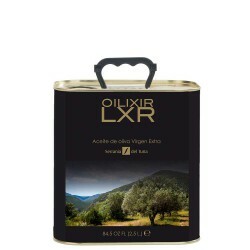 This olive oil, Picudo, is manufactured by the Aroden oil mill, located in Carcabuey (Córdoba) and has Designation of Origin Priego de Cordoba, hence its excellent quality. It is a product that will definitely make your dishes tasty, especially if you use it in white fish, carpaccio, pasta and any kind of sauce. One idea: Take a splash in vanilla ice cream ... delicious!